Do you want a Controlled Parking Zone for Brixton Hill? An official but informal Council consultation has opened this week on whether residents want to see new parking controls in streets in Brixton Hill where no restrictions currently exist. Since being elected as Brixton Hill’s councillors in 2014, we have received hundreds of emails, letters and petition signatures asking for controlled parking to be extended to the roads south and west of Brixton Prison. We have been pushing throughout this period for a consultation to once again be undertaken to see if residents genuinely do wish to see parking controls extended across the ward, and what form they might take. 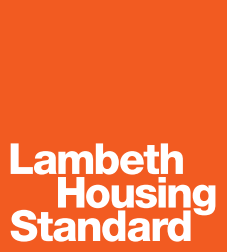 The new consultation has been set up following the conclusion of Lambeth’s parking stress review, which was launched after lobbying from local councillors and residents. This concluded that a large area north of the South Circular was suffering from high levels of parking stress meaning residents struggle to park near their homes on weekdays when commuters are taking up many of the spaces. We have heard incidents of road rage and danger for pedestrians and cyclists. There is also concern that residents in nearby CPZ areas may be parking their cars in roads without controls. We are pleased that the Council has taken on board our points in the review and is now proposing a Controlled Parking Zone for all non-estate roads in the area north of the South Circular. It may be that some roads have different requirements or preferences and residents can for instance suggest hours of operation for any proposed CPZ in their area. We will be looking closely at results to ensure any proposals down the line reflect what residents tell us they prefer. Residents can find out more about the consultation at www.lambeth.gov.uk/bhcpz and the survey can be accessed at www.surveymonkey.co.uk/r/BrixtonHillCPZ. The closing date for the consultation is 20th October. There will be a drop in session with Lambeth traffic engineers at Richard Atkins Primary School on 1st October, 10am-4pm. Brixton Hill councillors have welcomed the news that a 16-year-old boy who stabbed a Brixton Hill A-level student to death in a row over a £90 bike is facing a life sentence after he confessed to murder.